The DJ X5 combines the power of 2 great effects into a single fixture. 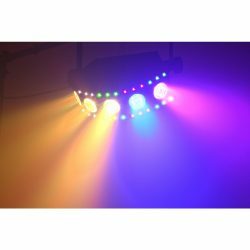 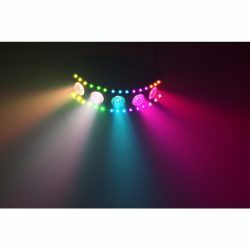 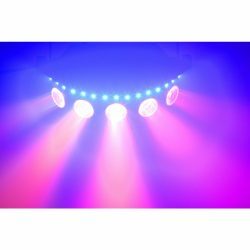 This quad-color LED wash light creates colourful effects that, combined with the separate RGB SMDs light up any dance floor. 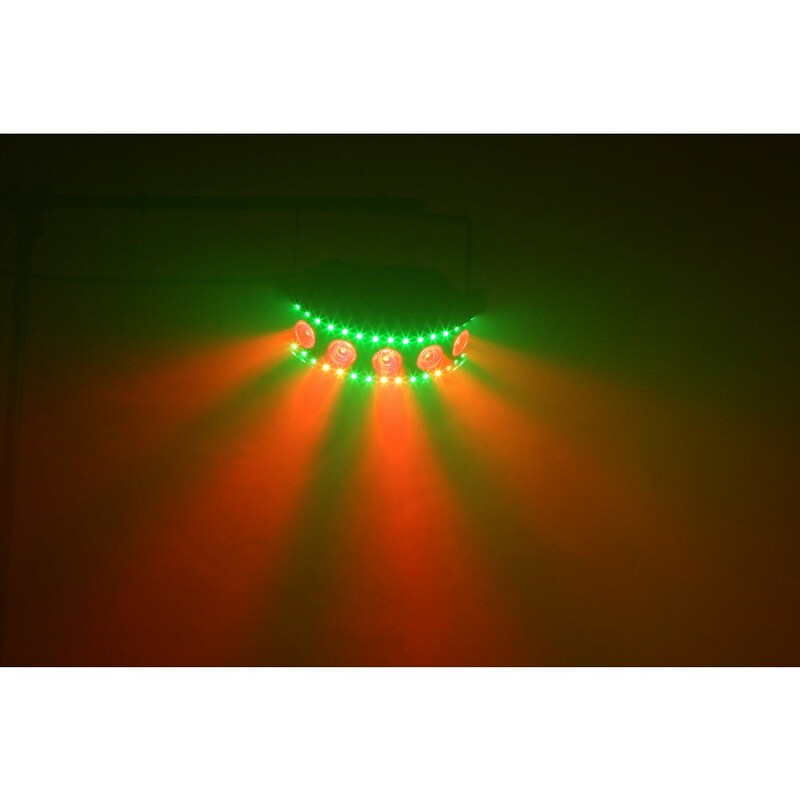 This effect offers small clubs and mobile entertainers the convenience of having multiple effects in one light show without having to transport multiple fixtures.